Artists are fast preparing for the display of their latest artwork. 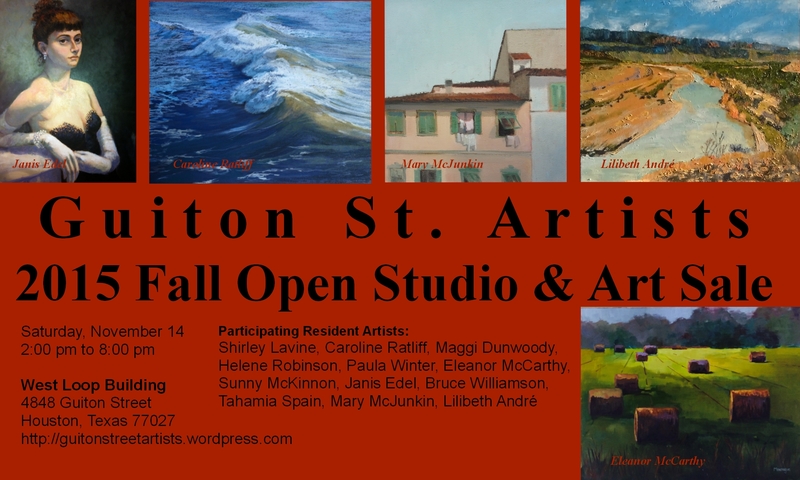 The Guiton St. Artists 2015 Fall Open Studio & Art Sale will soon be here and resident artists look forward to the event on Saturday, November 14. The 2015 Fall Open Studio & Art Sale is the second of two annual open studio events where you can see and purchase artwork directly from the artists. The event takes place from 2:00 to 8:00 pm.